The Fortean Times recently reviewed Australian Big Cats: An Unnatural History of Panthers by CFZers and FT writers Michael Williams and Rebecca Lang, and gave it a fantastic 9/10. Vets have dismissed (not surprisingly) a Chinese farmer's claim one of his sheep has given birth to a sheep dog. Yes, really! The woolly progeny (pictured above left) was supposedly found tucked up with 'mum' in a paddock, being licked clean. 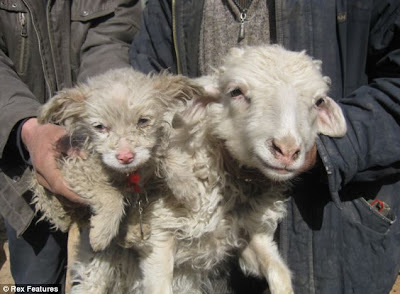 Farmer Liu Naiying claims he found the lamb-dog in one of his fields just after it had been born. "I was herding the sheep, and saw a sheep licking her newborn lamb on the grassland. The lamb was still wet," he said. "When I went up close to check on the lamb I was shocked because it looked so weird, like a cross between a sheep and a dog. I was a bit frightened, as I've been raising sheep for 20 years and had never seen such a creature." Though it has wool like a lamb's, the creature's mouth, nose, eyes, paws and tail are most definitely dog-like. Liu says the creature even plays like a puppy. Fancy that! Ten years ago, and nearly two decades after the infamous Lindy Chamberlain case, a boy of nine was killed by two dingoes on an island in Queensland – grim proof that Australia's native dogs do attack children. The fatal mauling of Clinton Gage, at the popular tourist destination of Fraser Island, caused national outrage and silenced those who had scorned Ms Chamberlain's claim that a dingo had snatched her baby daughter, Azaria, as they camped out at Uluru in 1980. The Queensland government took drastic steps to protect visitors, culling dozens of animals on Fraser and fencing off resorts and camping grounds. Now critics say the clampdown has gone too far and that Fraser Island's dingoes, accustomed to scavenging in rubbish tips, are dying of starvation. 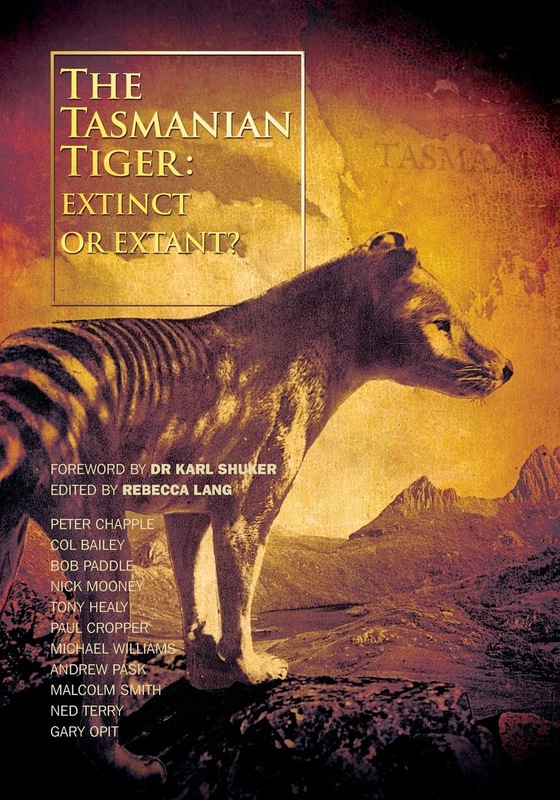 Some conservationists are even warning that the animals could go the way of the thylacine, or Tasmanian tiger, which was hunted into oblivion in the 1930s after being blamed for livestock deaths. As he sat in a gumtree's shade. And the Yowie might just do the trick!" Each swore, with a hand on his heart. T'was hairy and fat as a bullock! Feet as big as a kangaroo's haunch! And a gut like a publican’s paunch. Except when it searched for a mate. Would leave lots of lot in his jar. With a cunning and devious art. And Lord! just imagine the boots! Of the Yowie, revealed by the lamp. From a patch of enveloping scrub. While the smaller one yelled to be saved. The Mating Dance of the Yowie! Now there is a sight that is rare! We will now draw the curtain with care. Has suffered the dread fate of Ruth. "Whither thou go, so will I go"
And never no more on the farm. And live in Tinderry Glade. 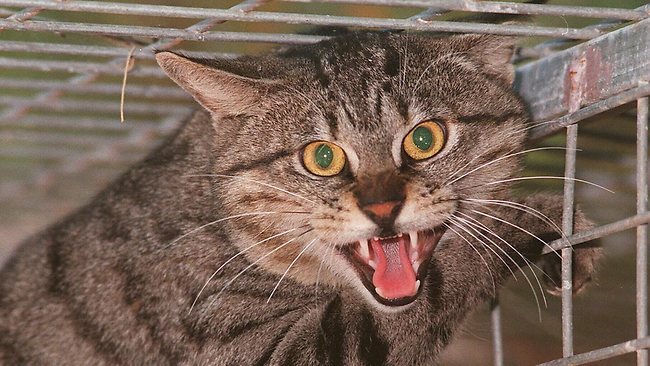 I can't tell you how excited we were yesterday to hear a story about feral cats "the size of dogs" running around a Brisbane suburb molesting pets and little old ladies. That is, until we saw the size of the dog they appeared to be comparing the "big cats" to - a five-month-old fox terrier! Perhaps it's just sloppy reporting and they left out the really good bits, but on the face of it the size of the cats in question appears to be a beat-up. 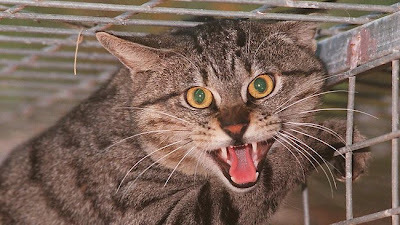 Ironically scores of reports come in every year of ACTUAL dog-sized cats and bigger - commonly described as 'panthers' - that are believed to be responsible for killing sheep, injuring cattle, and killing/maiming other dogs and domestic cats...so it's disappointing that a story like this will only draw ridicule and foster complacency about our real big feral cat problem. We've just watched the new episode of Beast Hunter: Man Ape of Sumatra - wow! It certainly gave us a taste of what we're heading in to - the dense jungle, changeable weather, the many wild creatures we'll be keeping company with, and some of the risks involved. The episode is one of several in a new series hosted by Pat Spain, an American wildlife biologist with an enthusiasm for cryptozoology (and a distant relative of Charles Fort, no less!). Pat explores the terrain, chats with locals, interviews witnesses - including Debbie Martyr, a resident ex-pat Brit who has seen the animal and now devotes much of her time to cataloguing sightings - and sets up camera traps with resident wildlife photographer and witness Jeremy Holden. While an enjoyable program, with a great host, it has to be said - it is mildly irksome the way these TV shows fall into the familiar rut of continually ignoring the people (and research) that precedes them. Instead of reinventing the wheel for the purposes of television, it would have added something to the program had the crew explored the angle of the hair samples and footprints already collected and analysed (Adam Davies/CFZ in 2005 and 2009), especially considering the episode had such a science focus for the host. Just a thought for next time guys! Despite that criticism, it was a great episode and a very promising television show. Looking forward to the rest of the series. 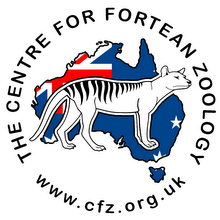 Have you always wanted to somehow be involved in one of the Centre for Fortean Zoology's expeditions? 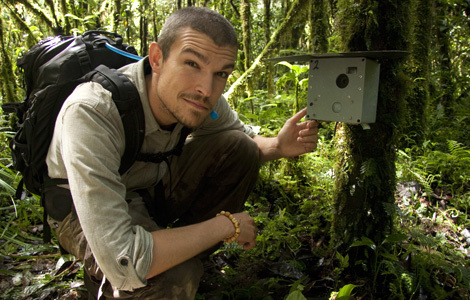 Well, now is your chance - from the comfort of your home you can support this year's 2011 Sumatra expedition by sponsoring a trail camera (also known as a 'game camera'). CFZ member Glen Vaudrey is leading the charge over at CFZ HQ in the sponsorship department with our new mascot 'Trevor the Trail Cam' (pictured above). "It has long been established that photographic evidence is one of the many ways that proof of the existence of a cryptid can be confirmed. Whilst the CFZ has had an impressive record at recovering hair samples there has, until now, been a lack of photographic evidence of any of the cryptids. It soon became apparent that the quest to discover mystery animals would be aided with trail cams." Glen writes. For approximately A$158 (aka £100) you can help the CFZ place a trail camera in the field. For further information, if you're in the UK, contact Glen at glen@cfz.org.uk or tel 0161 777 6586. We will identify and thank sponsors on this blog. This could be our best chance yet to capture something truly extraordinary in the field! CFZ Australia blog reader and archivist David Hearder sent in this bizarre find from a 1965 edition of The Canberra Times. The story details the killing of an unusually large wombat, dubbed the 'Bungonia Bear' by two brothers, claimed to be a mind-boggling four-feet long! 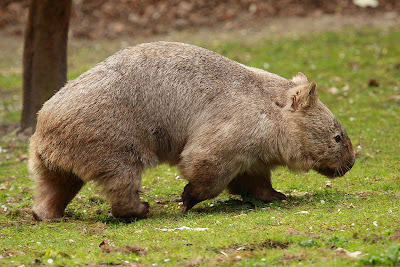 But the measurement isn't beyond the bounds of possibility - the largest of the three wombat species that inhabits eastern Australia, the common wombat (pictured below), can grow as big as 1150mm and weighing 22-39kg. The average size is about 1000mm and weigh 20-35kg. It's possible the lads slightly exaggerated the size of the wombat...or perhaps it was a generously proportioned common wombat that was 4ft long...or maybe it was at the very small end of the spectrum of the monstrous marsupial's distant cousin - the 2786kg Pleistocene era Diprotodon (pictured above), which measured almost 10ft from nose to tail! Could Tiger poo help eradicate Australia's feral deer population? 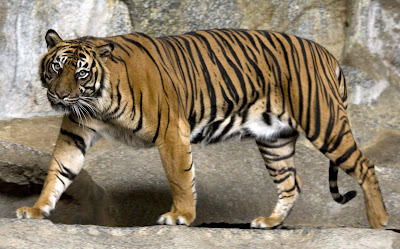 University of Queensland scientists have spent the past eight years researching and developing a repellent product using tiger droppings collected from big cats at a Gold Coast theme park. Scientist Peter Murray said deer innately recognised the tiger as a natural predator and the scent of its droppings scared them off. "We know there is an evolutionary relationship between the animals ... and there's a signal in the faeces the animal recognises as a predator," he said. Eighteen deer (Family cervidae) species were introduced into Australia in the late 19th and early 20th centuries, mainly by acclimatisation societies. The majority of these animals perished. However, six of the liberated species - chital, red deer, rusa deer, fallow deer, hog deer and sambar - survived and went on to form viable wild populations. In 1980, it was estimated that Australia had about 50,000 wild deer in 20 populations, mainly in the eastern states. But with the emergence of deer farming, this situation began to change. Escapes from deer farms and translocations of deer since the 1980s have seen the number of wild deer in Australia increase to about 200,000 in some 218 populations. 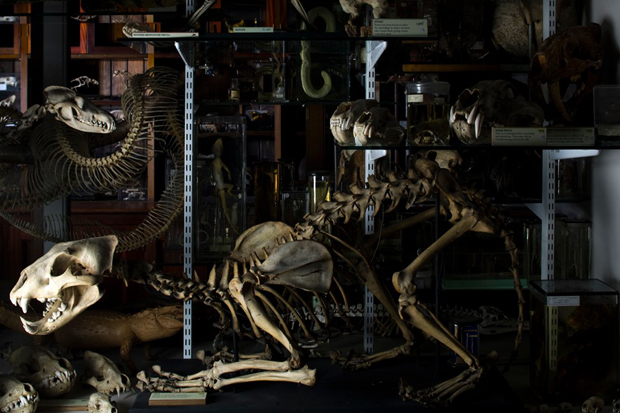 Anyone travelling to the UK should go out of their way to visit the Grant Museum of Zoology, a time capsule of more than 62,000 specimens of insects and animals, some of them extinct. Sadly it was closed when we were in London last, as its custodians moved premises and used the opportunity to search through the extensive collection. This month the Grant re-opens its doors and resumes hosting its interesting program of talks and other events during the year. The museum began life in the 1820s, founded by zoologist Robert Grant. The collection was (and still is) used for teaching students at University College London. 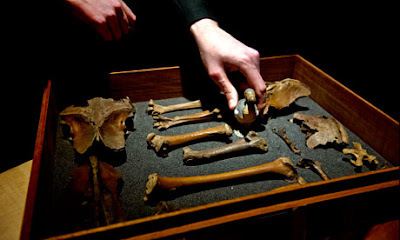 - (Recently rediscovered) Dodo bones. A member of the pigeon family, the Dodo was a flightless bird that has been extinct for some 300 years. The 'new' bones found during the move are pictured above. 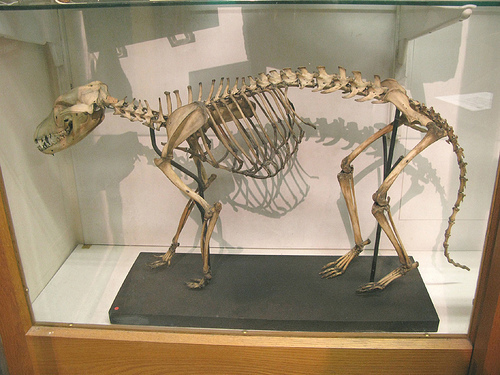 - a Quagga skeleton. A Quagga is a kind of zebra that could once be found in South Africa. Sadly, this unique creature was hunted to extinction in the 1870s. - a Tasmanian Tiger skeleton. Once found throughout Australia and New Guinea, this animal died out in the 1930s. It was once considered a pest and hunted heavily. When it was noticed that its numbers were fast dwindling, a law was passed to protect them, but by then it was too late. Need we say more? Get thee to the Grant! At the start of the year the Grant Museum's Jack Ashby began blogging about his adventures Down Under, the result of a lengthy stint of fieldwork in 2010. His blog posts make for illuminating reading - there's nothing like seeing your own country through the eyes of an appreciative foreigner. 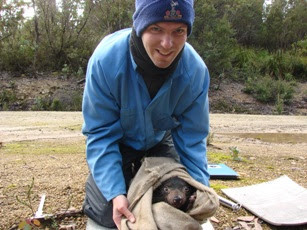 "From April 2010 I spent about five months undertaking several zoological field projects across Australia. 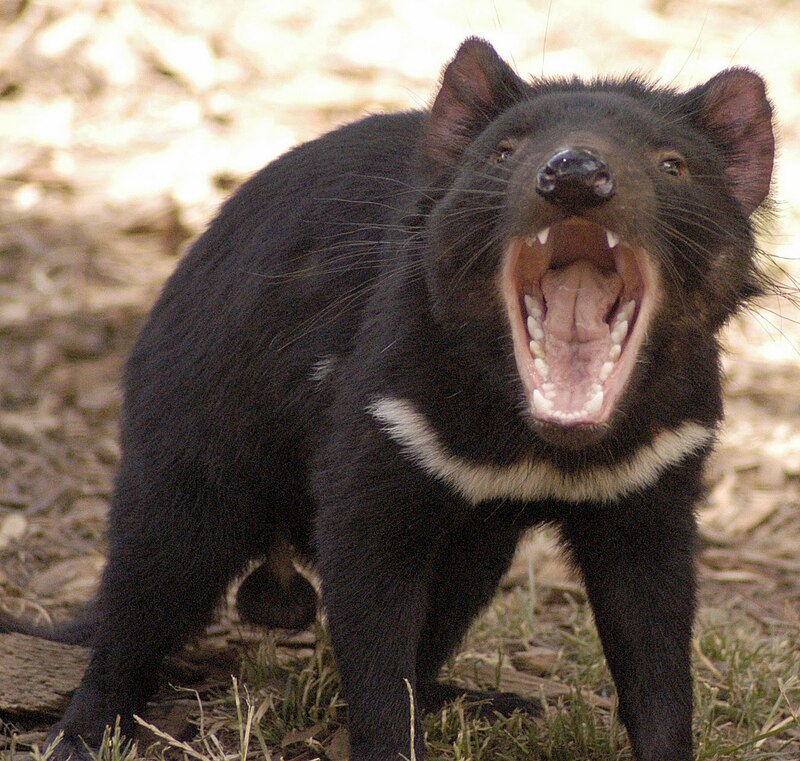 I worked with government agencies, universities and NGOs on conservation and ecology studies ranging from Tasmanian devil facial tumour disease, the effect of fire, rain and introduced predators on desert ecology and how to poison cats. This series of blog posts is a delayed account of my time in the field." 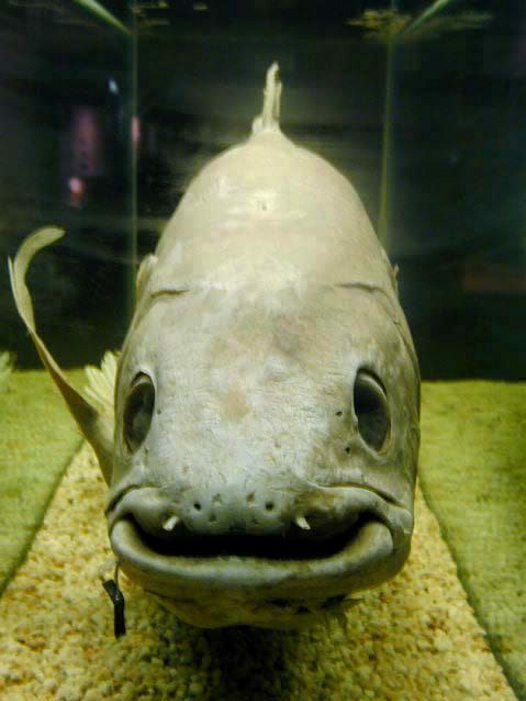 We didn't realise there was a Coelacanth on exhibit at the Australian Museum in Sydney! It looks like a beauty! It was captured off the Comoros Islands, and purchased by the Trustees of the Australian Museum in 1965. 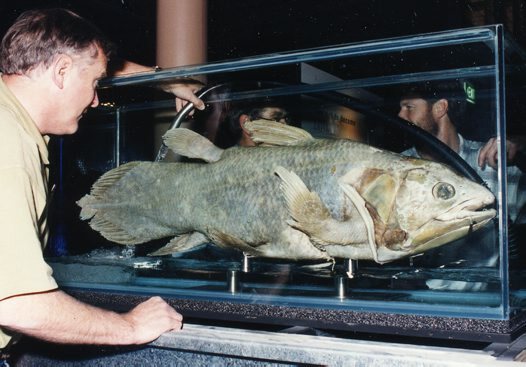 The fish was transported to the Western Australian Museum by the US RV Atlantis, where it starred briefly in the Perth media. The fish was then sent by air to the Australian Museum. Once on display it became affectionately known as the 'wishing fish'. Visitors dropped coins through a small crack in the holding case of the tank and made a wish. Unfortunately after a time the coins discoloured the liquid in the tank, and the practice was stopped. The Coelacanth has been on display in several different exhibitions. ANCIENT bones that could be the 5000 year-old remains of a thylacine, also known as a Tasmanian tiger, have been found in a Gowanbrae backyard, according to a newspaper report. The chance discovery was made in the Melbourne home of Craig Davis last week during soil testing for an in-ground pool. 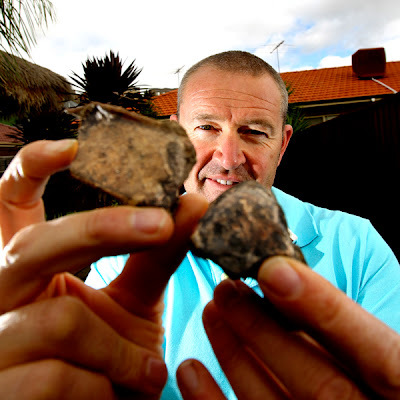 The soil was tested by Footscray resident Andrew Sandford, who is a qualified palaeontologist. The bones were found about 1.5 metres underground. The pair had been concerned the bones were of a human, but police have ruled that out. "Straightaway the initial thought was it could be human remains and when I saw what looked like a knee joint I thought, let's stop, and called the police," Mr Davis said. Relieved there was not a body buried in the backyard, the curious duo then decided to dig deeper to see what they could find. "We thought we would see what comes up. This used to be a swamp thousands of years ago so whatever it is probably got stuck and died in there. The soil where the bones are probably hasn't been disturbed for thousands of years." Mr Davis, who has owned the block since 2001, said the pair planned to keep digging in the hope they could put the skeleton of the animal together and identify it. He said it was "pretty exciting" to find something so old in his backyard. "It will be interesting to know what it is from a scientific standpoint. It certainly gives you something to talk about. Now we think we will have to name the pool the Jurassic Pond," he said. "All the local kids have been lining up asking if they can borrow the bones for show and tell." Mr Sandford said the bones could be more than 5000 years old. 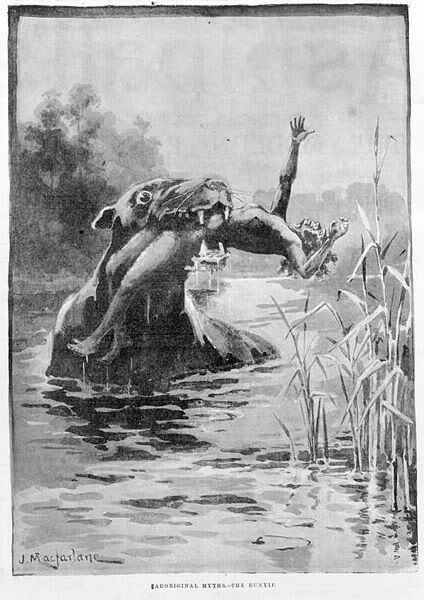 "I knew that bones of Australian mega-fauna had been found in swamps north of Melbourne. The clay that we were digging through was clearly swampy. It was very black and had a lot of organic matter. "The bones have been found in undisturbed clay that hasn't been dug up before. The bones had surface minerals and natural cement growing on them, indicating they are old." Mr Sandford said it was possible the bones could be of an animal that is part of the mega-fauna family such as a giant kangaroo, marsupial lion or a Tasmanian tiger. "The bones are, in fact, about that size so it could well be something like that. At the same time, it might be kangaroo bones that aren't very old at all. That's also a possibility." He said that for someone like himself who used to collect fossils as a teenager, it was an exciting find. "Only in occasional circumstances are bones preserved for such a long time. Now we want to dig it up and try to identify it. So far we have found the lower section of the leg." 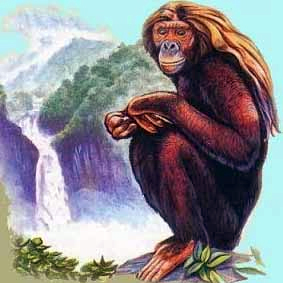 CFZ expedition planner Adam Davies has launched the latest Centre of Fortean Zoology expedition - the continuing search for the Orang-Pendek - over on the CFZ HQ blog. The team, as it stands, will comprise the following members: Dr Chris Clark, Richard Freeman, Dave Archer, Jon McGowan, Lisa Dowley, Andrew Sanderson, Rebecca Lang and Mike Williams. "Sumatra, and the Orang-Pendek in particular, hold a special affection for me. Since I first visited this beautiful country, with its dense virgin rainforest and proud tribal people, I have always been fascinated by the orang-pendek, the 'short man' of the forests. 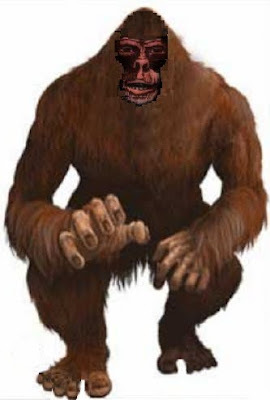 "I have no doubt the Orang-Pendek exists. Over the years I have interviewed many witnesses who have seen this creature. In 2009 the CFZ expedition was fortunate to have an eyewitness ourselves in Dave Archer, and Sahar Dimus saw one pinned against a tree, before it scurried away from us into the jungle." A mystery creature, dubbed the “Dunes Dingo”, has been spotted several times in recent weeks roaming the Tennyson dunes. 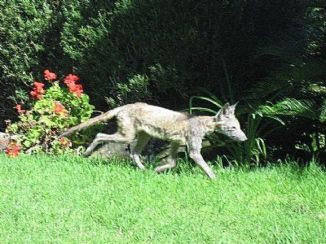 The Portside Messenger sent a photo Mr Finder took of the animal to the Dingo Discovery Sanctuary in Victoria, which quickly solved the mystery. The sanctuary’s Lyn Watson said the animal appeared to be a fox suffering from mange. 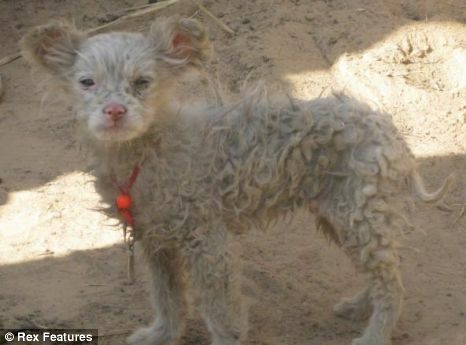 Mange is a contagious skin disease caused by parasitic mites. 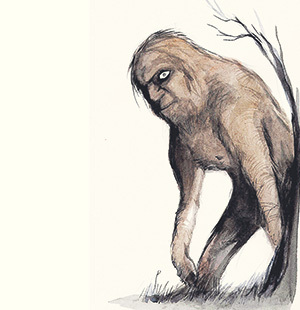 Over at Frontiers of Zoology, a relatively new blog in the CFZ family, artist and writer Dale Drinnon speculates that some reports of Australia's 'Bigfoot', the Yowie may, in fact, be OOPAs (out of place animals) - specifically, orang-utans from neighbouring Indonesia. Read more about his theory at Frontiers of Zoology. While we can't say we 100 per cent agree (some of those Yowie reports are, after all, too strange for words! ), it's certainly one of the more original ideas to be put forward in recent times. 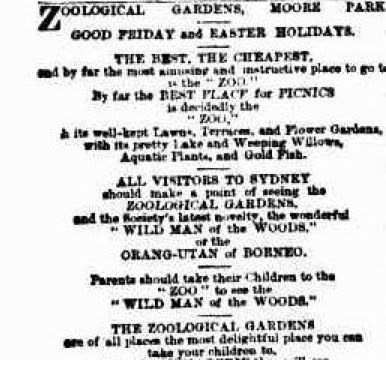 And just in case anyone is wondering, we certainly had orangutans in Australian parks (and possibly circuses) during the 1800s, as evidenced by this advertising from 1895 spruiking the 'Wild Man of the Woods'. 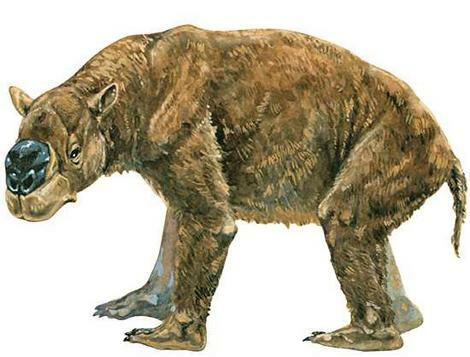 Cryptozoologist Dr Karl Shuker explores the mystery of New Zealand's extinct (?) Moa, a large flightless bird about 12ft high that was hunted by the Maoris as a food source. 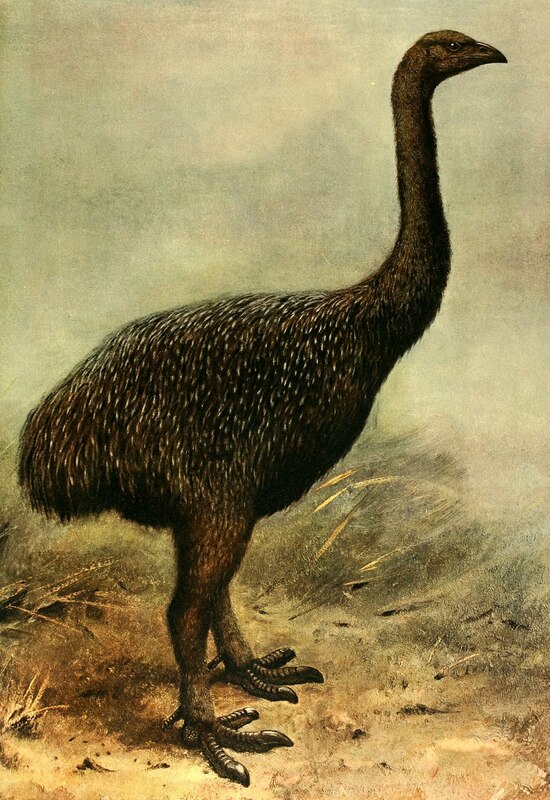 "One of the first mystery bird reports that I can ever remember reading appeared in A New Dictionary of Birds (1964), edited by A. Landsborough Thompson...The detailed moa entry, written by highly-acclaimed New Zealand ornithologist Dr Robert A. Falla, contained a section discussing the possible survival of Megalapteryx, one of the smallest moas (often dubbed the upland moa), into the 19th Century on South Island." Read the whole fascinating entry here. Somehow, just a few kilometres from the crowded streets of Sydney, a secret society of dingoes has managed to remain hidden. But what’s now being revealed about their culture and intelligence is amazing. And considering the prevailing attitude to dingoes, it’s a miracle there are any left. The ABC's Catalyst program recorded this program in 2009. A subspecies of the wolf, the dingo was introduced by humans to Australia around 5000 years ago, resulting in the extinction of the thylacine (Thylacinus cynocephalus) and Tasmanian devil (Sarcophilus harrisii) in mainland Australia. pigs, goats and foxes. They live in most environments, from densely forested to cleared areas. The dingo is listed on the IUCN red list of threatened species as vulnerable due to a 30% decrease in numbers (see IUCN 2005). 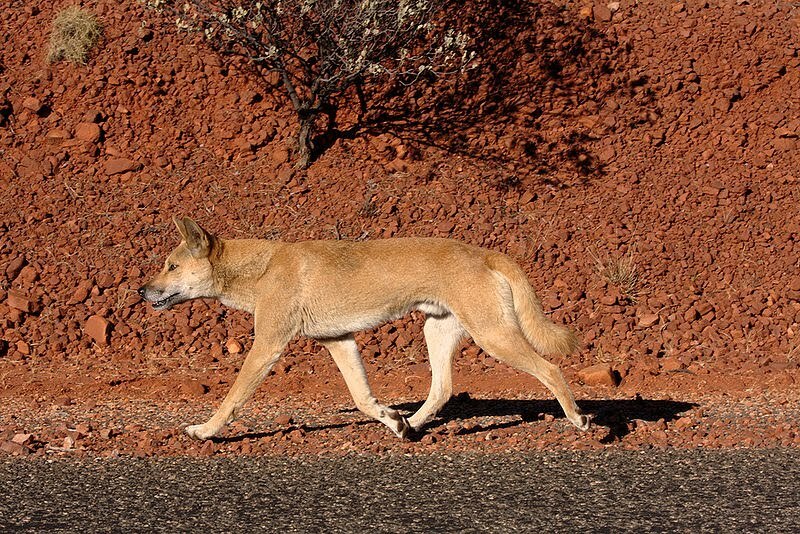 In NSW, dingo populations from Sturt NP, the coastal ranges and some coastal parks have been nominated as endangered populations under the TSC Act. In contrast, the dingo is unprotected under the NPW Act, despite being considered a native species – a discrepancy that is yet to be resolved. Dingoes are also a declared pest species under the Rural Lands Protection Act 1998. 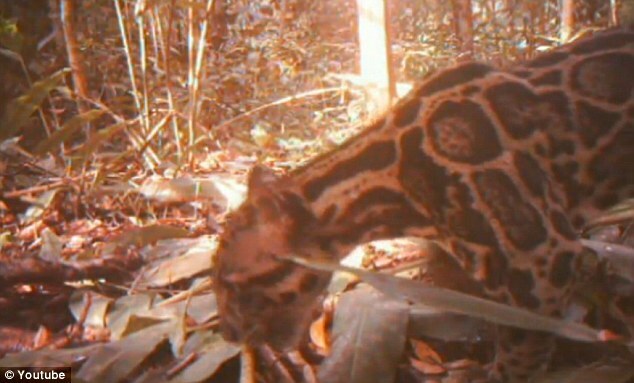 The camera-shy Sunda clouded leopard has finally been snapped by a camera trap in Indonesia's Berbak National Park on the island of Sumatra. The 22-second-long video footage shows the rare cat snaking its way through the dense jungle undergrowth. Meet Buster, the 'Thylacine' - a handy prop in owner Frances Pike's one-woman roadshow to raise awareness about plight of native species in state forests, which she says are losing ground due to intensive logging practices. Pike and Buster stopped over in Coffs Harbour recently to spread the message. Nice stripes Buster! A METAL 'panther' silhouette erected along the Deans Marsh-Lorne Rd has fooled many motorists into thinking they've spotted the Otways' mysterious big cat. For three weeks drivers have pulled to the side of the road for a second look, believing they have seen Victoria's elusive black panther. What they don't know is that the Deans Marsh 'big cat' is actually a metal sculpture drilled into the ground - an elaborate prank designed to fool unsuspecting tourists. The anonymous prankster and a friend said they were motivated by the recent State Government probe into sightings of the state's 'panthers'. Ironically, many of the pair's neighbours have claimed to have spotted a big cat - well before they unveiled their metal moggy! 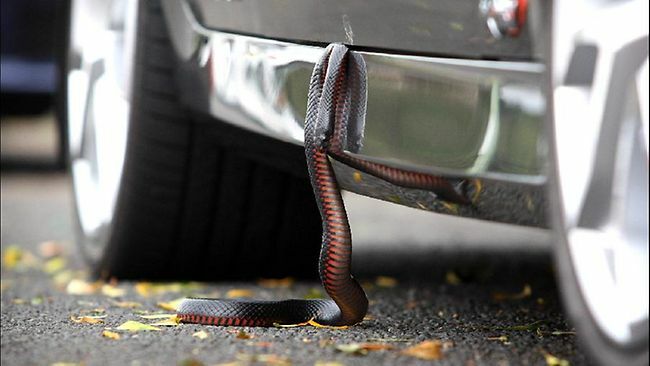 A Sydney driver was bitten by a 2m red-bellied black snake after stopping his car to check on a strange banging sound coming from beneath his new car. Upon opening the driver door and getting out, the snake reared up and bit him, prompting the driver to slam the car door, trapping the snake (pictured above), while he ran around to the passenger side of the vehicle to get his phone and call for help. It seems the recent wave of hot days in NSW has prompted many snakes to make the most of the last few warm weeks of Summer before temperatures take a dive. Though the venom of the red-bellied black snake is capable of causing significant morbidity, it is not generally fatal and less venomous than other deadly Australian snakes. It is common in woodlands, forests and swamplands of eastern Australia, and is one of our best-known snakes, as it is common in urban areas. Happily, we can report the driver survived his ordeal, as did, surprisingly, the snake! The above video is not the Australian Story segment, but a privately produced video detailing the ongoing starvation and mismanagement of the Fraser Island dingo population. Frustrated by the Queensland government's failure to work with them, the Save Fraser Island Dingoes group will appeal to the public for information on the treatment of dingoes this year. (You can donate to the Save the Fraser Island Dingoes campaign on the same page). The group's lawyers, Ocean Legal, will call on members of the public to provide statutory declarations detailing human-dingo interactions on the island. Save Fraser Island Dingoes secretary Karin Kilpatrick said there is an urgent need for a study into food sources on the island. "We need a wildlife study - what is on the island for the dingoes to eat?" she said. To watch the Australian Story profile on Jennifer Parkhurst visit http://www.abc.net.au/tv/iview/ (FYI it's only online for a short time, after that try Youtube). The transcript appears below. CAROLINE JONES, PRESENTER: Hello I'm Caroline Jones. Fraser Island, off the coast of south-east Queensland, is the only place in the world with a population of pure dingos, but some authorities say they animals may be in trouble. Experts disagree about the best way to manage the island, which is mostly national park, and the issue has become highly political. Tonight's Australian Story is about a wildlife photographer whose passion for the dingos set her at odds with park rangers and brought her to the brink of disaster. This is the story of Jennifer Parkhurst. JENNIFER PARKHURST: It absolutely breaks my heart to be so close to Fraser Island and be separated by this 1 kilometre of water. So near and yet so far. It's very difficult for me to come down the beach these days and look across to the island. I grew up in Victoria and came to Fraser Island quite by accident. Just jumped on a barge one day and went for a trip across and saw that there were dingos there. And that was it (laughs). That's kind of how I came to be at Fraser Island. I though okay that's it, I'm staying. RAY REVILL, SUPPORTER: The dingos become part of her. If she had her way I think Jen would live with them forever. That's her passion. JENNIFER PARKHURST: The Fraser Island dingo isn't just any dingo. The researchers found that the dingo is the purest dog in the world and the dingos on Fraser Island are the purest dingos in Australia. They're an extremely important species that we have to preserve. Australia and indeed the word is becoming very concerned that it won't be long before these precious dingos become extinct. HAROLD PARKHURST, FATHER: Jennifer has often described it that this is probably one of the greatest privileges in her life. And Jennifer says, haven't I been blessed? What an experience. And to see what it's turned into today. REPORTER: Wildlife warrior Jennifer Parkhurst was charged with 40 offences for her interaction with dingos on Fraser Island. HAROLD PARKHURST, FATHER: She's been persecuted and prosecuted, and I mean what, for what? REPORTER, WIN NEWS: According to friends, Parkhurst has gone to ground. She is now facing a maximum two years in jail. RAY REVILL, SUPPORTER: They set out to get her. It was like a hunting pack. They wanted her. JENNIFER PARKHURST: I have no formal scientific training perse. I guess my connection with wildlife comes from just a deep understanding and empathy for animals. The dingo is a very misunderstood animal and very misrepresented, and I guess I feel the same in some ways. HAROLD PARKHURST, FATHER: Jennifer suffered a lot of bullying at school and she used to cop heaps from both boys and the girls. She's very shy. JENNIFER PARKHURST: I had a really terrific friendship with my mother and we spent time travelling around the outback together. When mum became sick, and then eventually died, because of the trauma from my past and everything, I couldn't cope. And so I shut down emotionally. Mum was only 52 years old. HAROLD PARKHURST, FATHER: And Jennifer really just could not cry. And then it was that time straight after she said, I can't live here. JENNIFER PARKHURST: And what I discovered was that once I was on Fraser Island and I was closely interacting with the dingos it did start to heal me. Photography's always been a passion and the dingo is an extremely attractive animal, a very noble kind of animal. And I just found that as a photographic subject they were intriguing and challenging. I'd bring the photographs home and spend some time painting and then sell that lot and then head off and start again. TERRY HARPER, QLD PARKS & WILDLIFE SERVICE: The department's first interactions with Jennifer Parkhurst started in 2006, and I think at that stage you could say they were very amicable. We provided early support for her work. JENNIFER PARKHURST: The more intimate I became with the dingos, the more acquainted with them, the easier it was to get some really fantastic footage, and so in the end I started thinking, yeah I really have to do something with this. I've got to share it with scientists and that was what I started to do. ALAN WILTON, GENETICIST, UNIVERSITY OF NEW SOUTH WALES & PATRON ‘SAVE FRASER IS. DINGOES’: One of the things that's special about Jennifer is that she's been able to examine the behaviour of animals in their native setting for a long period of time at close range. It's very difficult to acquire that sort of information elsewhere, and there's very little in the literature about those sorts of details. JENNIFER PARKHURST: I'd been observing parents with pups and so forth and as the pups started to grow up I noticed that they were becoming extremely skinny. HAROLD PARKHURST, FATHER: She saw one of the family young die of starvation and the next family came along and they were on the same path. JENNIFER PARKHURST: I was really alarmed at the high mortality rate amongst pups. It was really looking like a 90 per cent mortality rate. At that that time there was just absolutely nothing I could do about it. I mean my job, as I began to see my role on the island, was just to record what was happening and not interfere. JENNIFER PARKHURST: As you know, I'm strictly prohibited from interfering with the dingos in any way. This is the first time in this national park that I've ever patted a live dingo. The only reason I'm doing it is that I know Pepper is dying. HAROLD PARKHURST, FATHER: Jennifer had to summon up every ounce of strength to have witnessed five puppies dying of starvation and it's an agonising cruel death. JENNIFER PARKHURST: What I started to notice was that when the puppy's ears were tagged, the mortality rate just suddenly increased. The ear became very droopy, thus they were unable to hunt effectively because they couldn't locate the source of the sound. And that's when I noticed that they started to starve. Initially I had a fairly good relationship with the rangers but that changed when I wrote an article about what happened after an ear tagging event one year. The rangers involved said that I'd overly criticised them and they took it very personally and I guess that's where the war kind of started. REPORTER: The elder son was set upon by two dingos. Clinton was exploring when attacked. His brother was also mauled as he ran for help. TERRY HARPER, QLD PARKS & WILDLIFE SERVICE: Dingoes have been a management challenge on Fraser Island for decades but in 2001 when Clinton Gage, a 9-year-old boy, was killed by dingoes, everything changed for us. REPORTER, ABC NEWS: The nine year old was dead by the time his father arrived at the scene. PETER BEATTIE, FMR QLD PREMIER: We won't hesitate to destroy dogs that harass or are a threat to people. REPORTER: Late today the government confirmed that both dogs had been trapped and killed. JENNIFER PARKHURST: The government understandably had to do something about that. A lot of dingos were slaughtered in order to make tourists and visitors fell safe again. REPORTER: There's now a push for all of the Island's 160 dingos to be killed. REPORTER, ABC NEWS: A quarter of a million people visit Fraser Island each year. The World Heritage area has had its reputation badly damaged. TERRY HARPER, QLD PARKS & WILDLIFE SERVICE: The Queensland government had three broad options available to it: a future where there was no dingoes, a future where there was no people, or a future where there are people and dingoes living together under a scientifically based management plan. That was the option that government chose. REPORTER: The Queensland government is now considering tougher penalties for tourists caught feeding dingos. Rangers will cull more dingos tomorrow, possibly another 20. JENNIFER PARKHURST: People in the boat are throwing fish for the pups. IAN GUNN, VETERINARIAN, MONASH UNIVERSITY & VP NAT. DINGO RECOVERY PROGRAM: The Fraser Island dingo is really a victim of history, as well as location. Since the opening up of that island for uncontrolled tourist industry, the dingoes are really now taking second place. So we've got to look at a balance that is really not occurring at the moment. TERRY HARPER, QLD PARKS & WILDLIFE SERVICE: The Fraser Island dingo management strategy has three broad approaches that we rely on - engineering, education and enforcement - to physically separate dingoes from people and the food that can come from people. And it has been successful in terms of achieving safety for visitors and also keeping dingoes alive across the island. We have zero tolerance for any breach of those rules in relation to feeding dingoes and making food available. IAN GUNN, VETERINARIAN, MONASH UNIVERSITY & VP NAT. DINGO RECOVERY PROGRAM: If a dingo is starving he'll become desperate, he'll become slightly aggressive and he'll move into areas of population, housing, tourists, people on the beach, just to get any food resource. TRAVIS PAGE, BUTCHULLA PEOPLE: Well that argument about attacking people all comes down to a parent's supervision. Because they're pretty much wild animals, and they're scarce of food, and that little child can also be a meal to that fella's eyes. You've just got to be around them all the time. TERRY HARPER, QLD PARKS & WILDLIFE SERVICE: It is really critical that everybody who comes to Fraser Island follows those really important but simple messages - don't feed dingoes, stay close to your children, and if you are attacked, defend yourself and be assertive with dingoes. JENNIFER PARKHURST: The media certainly seems to love a dingo story and once they get a hold of one, they definitely over-dramatize it. ALAN WILTON, GENETICIST, UNIVERSITY OF NEW SOUTH WALES & PATRON ‘SAVE FRASER IS. DINGOES’: The current management practice seems to be that it should be treated as a wild animal and not interfered with at all. But the past practice on the island has always been that the dingo has been associated with people. It's been associated with the Aboriginal communities on there before white people arrived. JENNIFER PARKHURST: I'd seen dingoes on the island that were starving. So I made Freedom of Information application for the autopsy reports. I think this was where most of the animosity probably started because once I'd had a look at these reports and analysed them, I was very alarmed. For example, here's a three month old pup that's been shot. And it's reported as being in poor condition. When you're talking about animals that have predominantly sand, grass, tin foil - all that sort of stuff in their stomach, you're talking about animals that are in really bad condition. COL LAWTON, QLD PARKS & WILDLIFE SERVICE: It's inappropriate to pick out one or two little bits and pieces out of those 80 odd reports and hold that up as an indication that the population as a whole is starving. Those autopsy reports have also revealed to us that the average weight range of animals on Fraser Island is up around an 18 kilo mark. Now that's well above, two and three kilos above, sighted weight ranges for Northern Territory and other areas across Australia. JENNIFER PARKHURST: I've come to an autopsy report here and it says, "Cause of death: Rifle-itis". IAN GUNN, VETERINARIAN, MONASH UNIVERSITY & VP NAT. DINGO RECOVERY PROGRAM: I've viewed the post mortem reports and this confirms that a significant number of dingoes on Fraser Island are starving. Jennifer Parkhurst has managed to collect a valuable source of reference material. I'm just staggered at these photographs. They're virtually skin and bone, there's virtually nothing left to them at all, and it's critical. If I had an animal in that condition, I'd be prosecuted If things go on the way they're going, the whole dingo population on that Fraser Island will become extinct. COL LAWTON, QLD PARKS & WILDLIFE SERVICE: Our issues with Jennifer really led up from 2007/2008. She seemed to be having a lot closer contact with dingoes and we started to have reports of those dingoes interacting with people, and aggressively interacting with people and that. Now we raised the issue of her interaction with dingoes on numerous occasions and we were always given the story back that, no, no, no, I never interact with them inappropriately, I've never fed them, I'm doing all the right things. HAROLD PARKHURST, FATHER: Jennifer met a guy called Adam Randall, and they started going out together. JENNIFER PARKHURST: Adam became very interested in my work on the island and observed the dingos with me. They were just starting to get a little bit skinny. And Adam sort of said, look, you know, you should feed them. I take full responsibility for my actions with regards to feeding the dingos because it was definitely something that I didn't agree with and I ended up doing it. So- and I can't say that because somebody else did it that it was okay that I went along with it. COL LAWTON, QLD PARKS & WILDLIFE SERVICE: We were seeing her walking out of the bush with a pack of five and six dingoes at her heel and that sort of thing. You know, that's not normal. You know, our rangers were on the beach down there. 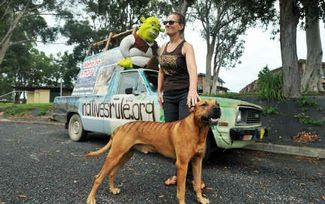 Jennifer actually drove past in her boyfriend's ute, as soon as that dingo saw that ute, it obviously recognised that car, it obviously had a reason to chase that car, and the reason was once again a food condition response. It's, oh, there's Jennifer's car and I know I'm going to get some food there. You know, it all ended up in 2009 where we're getting some really serious attacks on people down there. We had to destroy five animals. That was the same pack, the same animals that she was interacting with and feeding on a daily basis. JENNIFER PARKHURST: And I think that the outcome of all of them being destroyed had more to do with the fact that DERM didn't like me than with the fact that the dingos had ever done anything wrong. COL LAWTON, QLD PARKS & WILDLIFE SERVICE: That is the absolute last thing we want to do. People don't join a parks agency to be out there destroying native wildlife. JENNIFER PARKHURST: Even though I did feed the dingos and so forth, I never fed them before Adam came along, and the spilt second I finally got him out of my life I stopped feeding them. End of story. HAROLD PARKHURST, FATHER: Jen didn't want him. That ended on a rather bad note and two weeks later the house was raided. TERRY HARPER, QLD PARKS & WILDLIFE SERVICE: The evidence provided by Adam Randall clearly demonstrated that Miss Parkhurst had consistently and repeatedly offended in terms of feeding dingoes across the island. JENNIFER PARKHURST: Yeah, I was woken up at 7 o'clock that morning by a knock on the front door and they just came straight into my house and gloved up and began searching. They took hard drives, a computer and it wasn't only my life's work, it was all my personal stuff. HAROLD PARKHURST, FATHER: Well, from the time of the raid onwards, it probably was the longest 13 months in Jennifer's life. JENNIFER PARKHURST: During that time, I was just in a state of grief. The pups that I was observing had been destroyed. I was devastated. Absolutely devastated. NEWSREADER, CHANNEL 7: Wildlife warrior, Jennifer Parkhurst is facing 40 offences for her interactions with dingos. REPORTER, CHANNEL 7: Jennifer Parkhurst arrived at the Maryborough Magistrate's Court today with family and friends by her side. The tight group of loyal supporters anxiously awaiting her fate. NEWSREADER, CHANNEL 7: In court prosecutor Ralph Devlin played 15 videos taken by Ms Parkhurst which showed her feeding several dingos. JENNIFER PARKHURST: When I heard some of my own narration, in retrospect I can laugh. You know, we all say silly things I guess at the time, but at court I did not find it funny at all and I was quite humiliated and quite embarrassed. Some of the footage that was used just didn't actually tell the entire story. For example, there was the Christmas dinner feast with the roast chicken. But I wasn't actually alone there. What they didn't show in court was that if you keep rolling the video, that Adam was actually standing next to me and he's the one that was handing out the roast chicken. So DERM has kind of given a very biased presentation of that piece of footage. JENNIFER PARKHURTST: Guess they’ll try that. This is a jailable offence. KRISTIE CRABB, BARRISTER: Obviously the words "it's a jailable offence", was quite shocking and it was quite damning in some respects. 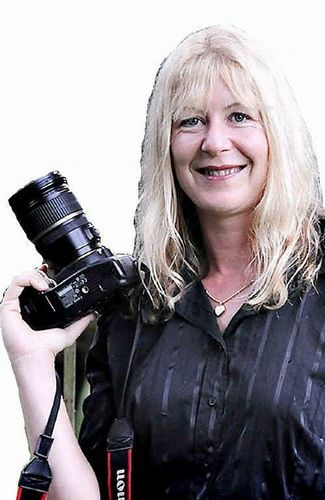 TERRY HARPER, QLD PARKS & WILDLIFE SERVICE: Any suggestion that there were mitigating circumstances, it would have been most appropriate for her legal team, her defence, to actually raise those matters before the courts. KRISTIE CRABB, BARRISTER: The footage showing a child who was having her hair pulled by a dingo on Fraser Island and then subsequently being nipped obviously stirred up some controversy in the media. TERRY HARPER, QLD PARKS & WILDLIFE SERVICE: I understand that the response in the court and in the public afterwards was one of shock, especially given that the circumstances were so very close to those that involved the tragic death of Clinton Gage in 2001. NEWSREADER: Ms Parkhurst pleaded guilty to all the charges before the court today. JENNIFER PARKHURST: I just started feeling dizzy obviously and just totally panicked. My life was flashing before my eyes. SIMON WARD, REPORTER: Jennifer Parkhurst emerged from the Maryborough Courthouse a guilty woman. JENNIFER PARKHURST: The sentence was nine months in jail, wholly suspended for three years, but with a $40,000 fine. KRISTIE CRABB, BARRISTER: Certainly in court both the prosecutor and I had only submitted that the fine should be no more than $5,000. JENNIFER PARKHURST: It's above what DERM even required. KRISTIE CRABB, BARRISTER: For a sentence to go almost 10 times above the fine that was asked for is very unusual in my experience, and certainly was a cause of shock in the courtroom. JENNIFER PARKHURST: The magistrate was the coroner on the Clinton Gage case. When they come before a case, they have to come before the case with a fresh mind. It doesn't seem to me like that's what he did. HAROLD PARKHURST, FATHER: In my opinion they needed to achieve two things: I believe that their aim was to destroy Jennifer and achieve the power to initiate this landmark case, and that's what they've got. REPORTER: Ms Parkhurst claims she only fed dingos under the influence of former partner Adam Randall, who received a $2,500 fine and no conviction recorded. KRISTIE CRABB, BARRISTER: Adam Randall's sentence was obviously much less than Jennifer's, and for the same behaviour and the same offending, it's quite remarkable. JENNIFER PARKHURST: Because of the publicity generated, we basically formed a group called Save Fraser Island Dingoes. We've been able to approach the Government and have several meetings with the Government and discuss our concerns. 'DINGO' SIMON: It looks like the Government now have sort of stepped up to the bar a bit, started to make some improvements which we're all happy with. TERRY HARPER, QLD PARKS & WILDLIFE SERVICE: There are examples where we have changed our approach based on feedback from the community. COL LAWTON, QLD PARKS & WILDLIFE SERVICE: You know, the issue of the way we're tagging animals, and ears flopping, and animals being too young when they were tagged and that - we reviewed our procedures and I believe we fixed the problem. DEBBRA RICHARDS, BUTCHULLA PEOPLE: What we'd like to see is the management of the dingoes handed back to the Aboriginal community of that island, otherwise they're just going to cull the whole lot and there's not going to be one pure bred dingo left there, and that's going to be a sad day for us. JENNIFER PARKHURST: I would dearly love to go back to Fraser Island and continue my work there. I really don't know if that's a possibility for the future or not. For three years, if I do anything wrong, anything indictable, I will go straight into jail, which has basically meant that I dare not go to Fraser Island, because I've been told that if a dingo comes anywhere near me, that that would be enough for me to go to jail. We'll just have to see what happens one day at a time. The Dept of Environment and Resource Management says research is continuing into Fraser Island dingo numbers, but there is ‘a healthy generation of pups’ from the 2010 season. Dingo advocates disagree and say there is no doubt numbers are in serious decline. Further to last night's excellent Australian Story piece on dingo campaigner Jennifer Parkhurst is this video that outlines the sensationalist reporting of dingoes on Fraser Island.